This drive is approximately 20 miles long and should take around 3 hours, with your starting point in the picturesque village of Tregaron (self-proclaimed as the smallest town in Britain). You’ll then move onto Afon Irfon, through Esgair Irfon and tackle the Devil’s Staircase. This part is renowned for its treacherous steep incline through dense forests – not for the faint hearted. Should you choose this road trip for your summer adventure, you’ll be treated to breath-taking views across south Wales with thrilling twists and turns. Finish your trip with a peaceful stay at one of the many B&B’s this part of the world has to offer. If you’re looking for things to do in Manchester and surrounding areas, why not escape from the busy city and find peace in its surroundings. Nestled in-between Manchester and Sheffield, you’ll find the calm setting of the Peak District. The Peak District was the UK’s very first National Park back in 1951. The Snake Pass, located in Derbyshire, is the most recognised drive in this idyllic part of the world. 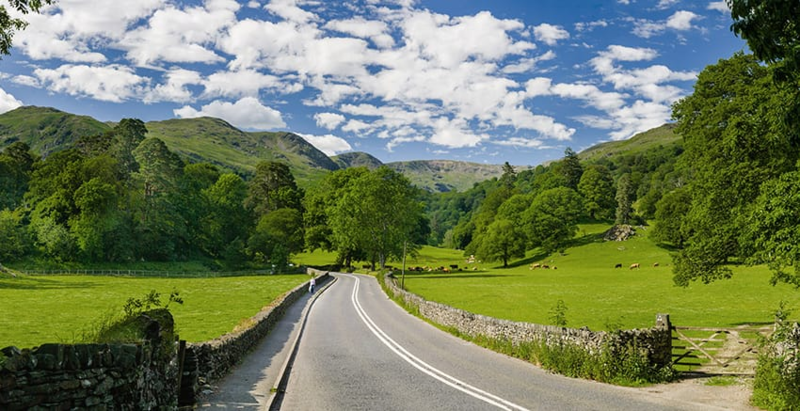 As the name suggests, there are plenty of stoops and bends to keep you on your toes, winding around the beautiful hills of the Peak District. From here, you’ll find yourself at Ladybower Reservoir, ideal for a relax and recharge for the journey ahead. You can then drive to the Longshaw Estate for a spot of afternoon tea. To take the sights in start your journey off in the city. This incredible route is relatively new as an “official” road trip, but people have been driving this route for years. It’s not being described as the “ultimate road trip” in the north of Scotland. It’s no surprise that such a dynamic and exhilarating drive exists in the Scottish Highlands – it’s renowned for its swooping landscapes, beautiful beaches and nail-biting cliffs. The total distance of this journey amounts to 516 miles (hence the name route 500). You’ll begin in Inverness, drive along to Applecross, stop by Caithness and then loop back to Dingwall to finally finish where you started in Inverness-Shire. Scotland is brimming with areas of outstanding natural beauty and rich heritage. Along your route you’ll see the Dunnet Bay Distillery, The Loch Ness and Dunrobin Castle. Your final stop at Caithness before heading back will arguably be the most beautiful place you visit, with a stunning dramatic coastline perfect for keen bird watchers.